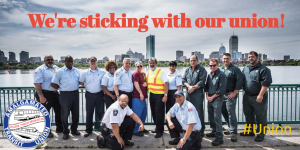 In a recent article in the Boston Globe (MBTA overtime spending spiked last year), President Jimmy O’Brien set the record straight that the surge in overtime is do to understaffing. Below is his quote from the article. The repair facilities do have limited amounts of repair equipment and area to setup repair work. also part availability .. in the past we did have more repair techs, because of the weather conditions creating a huge amounts of work . also management did purchase high failure rate vehicles. overtime increases are common when huge amounts of new vehicles arrive . lack of space to do repairs……………. training is part of the tech availability loss .. new vehicles have issues , sure does cause more overtime ..
fewer workers less cost for MBTA .. techs can make more with the overtime payoff all the debt , then retire at an early age. I hope the new vehicles will be more reliable … if not will need more repair techs and more space to do the work.. 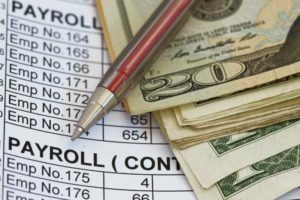 If you had issues with your payroll, click here to register your complaint. Unions everywhere are under attack by corporate interests. Now, more than ever, we must stand together. Click here to take the pledge to be union strong and proud. For blood cancer patients, there is a cure. And the amazing thing is, it could be you. 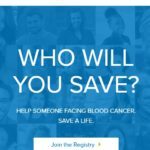 You could save a life by joining the Be The Match Registry®. Click on the above photo to register now. 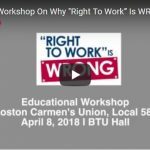 Recently, Ben Gordon with the International ATU provided an educational workshop for our members on why “right to work”is WRONG. 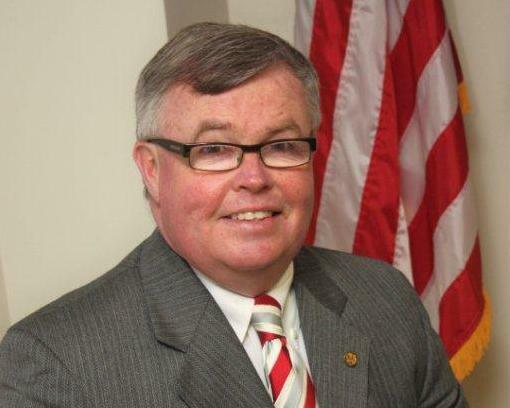 Watch his presentation as well as hear him answer questions from the membership. 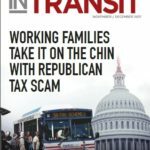 In Transit is a bimonthly magazine of the ATU covering labor and transit news from the U.S and Canada, the activities of the International Union, and feature stories about local unions and members. © 2019, Boston Carmen's Union, Local 589. All Rights Reserved.